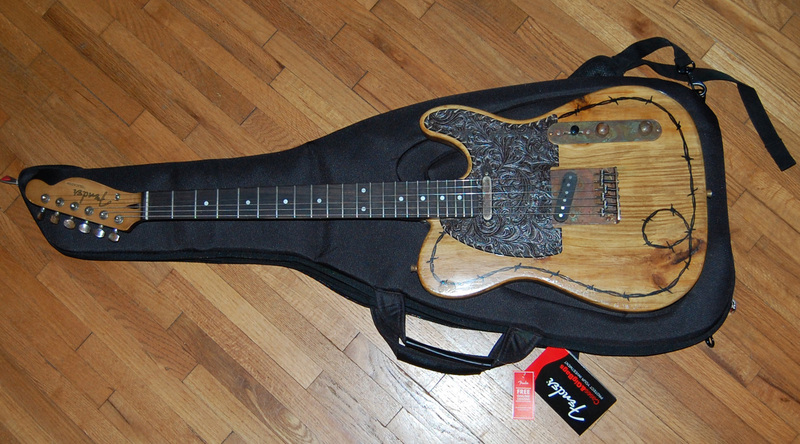 I saw this guitar and could not resist it. 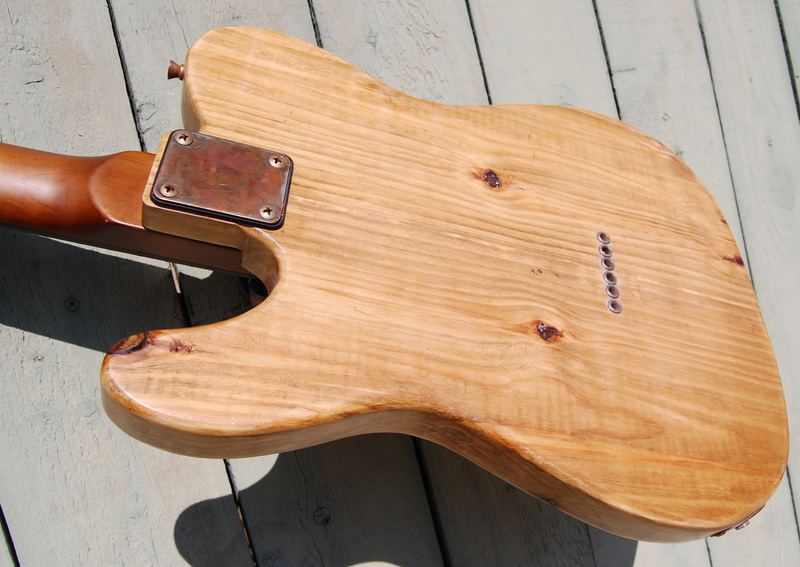 Pine is a popular choice in Telecaster building now days. Resonant and light. Plus it looks so cool. 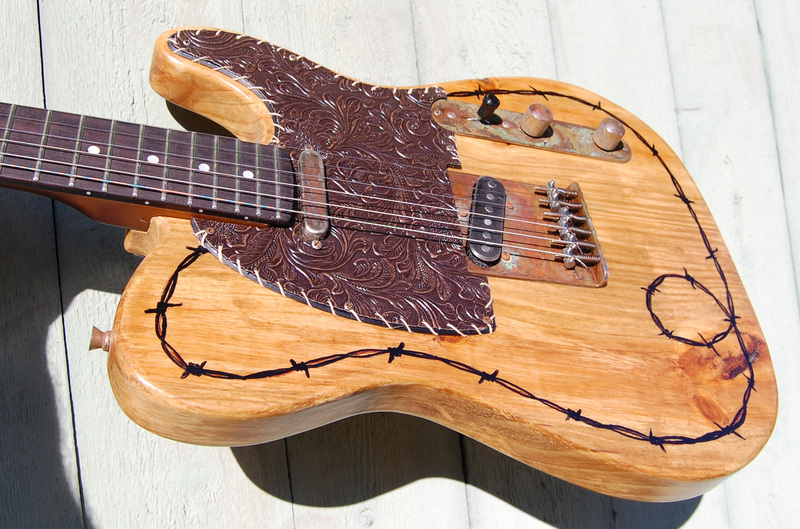 This is a custom made in the USA Telecaster style guitar. The 22 fret neck is made by USA Guitars. They make all of Brad Paisley's necks. Thin and fast. Big frets. Aged hardware. Set up with 10s. 7 pounds 14 ounces. 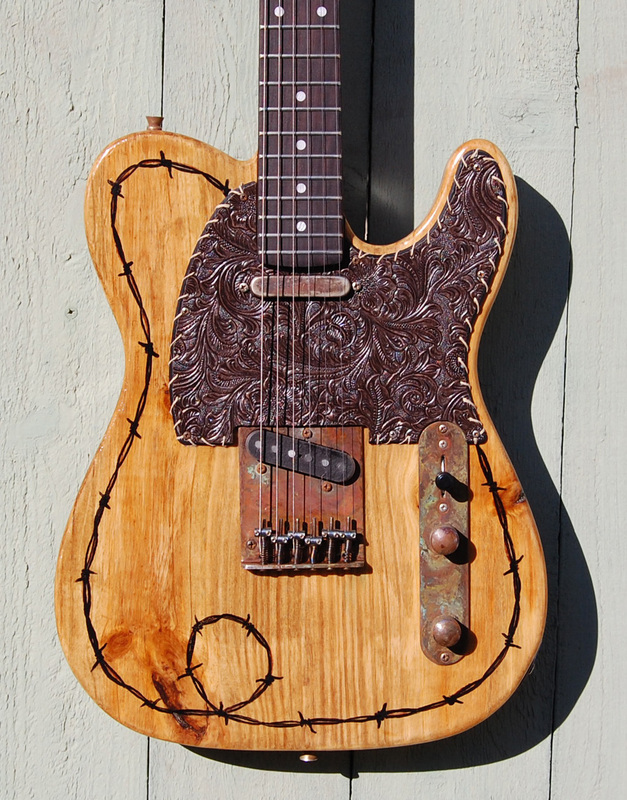 SUPER twangy. 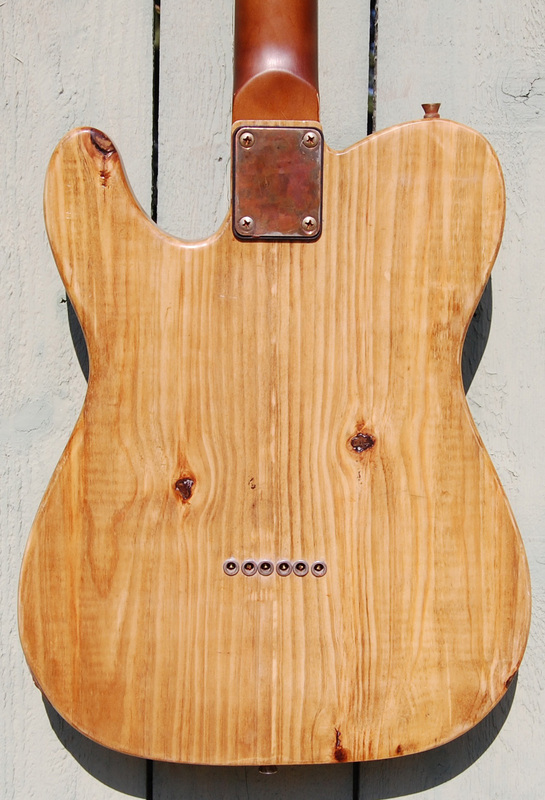 Classic Tele tone.